However much I’m meant to be holding back on my spending and trying to save my pennies, I just can’t help myself when it comes to treating myself, and our home to new things. It’s a terrible habit and one I have managed to curb a little now that most of our money goes towards the good old roof above our heads. But I still have my moments of weakness and there’s no controlling my shopaholic tendencies when I stumble across lovely new things. I’ve spent the last year in a constant state of “blogging made me buy it” mode and it’s wearing thin with the Hubster. Oops. 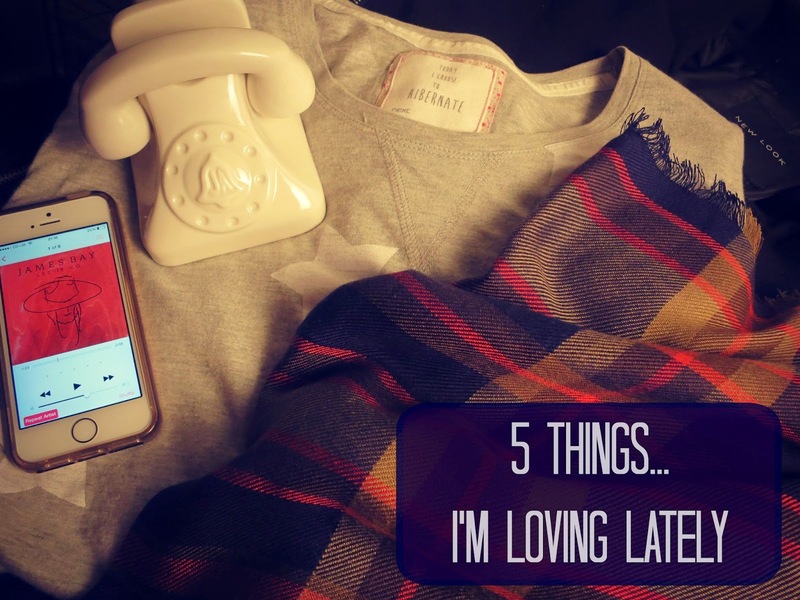 So guilty conscience aside, I thought seeing as I love discovering new stuff, perhaps my lovely readers would like to delve into my most recent splurges, starting with Five Things I’m Loving Lately…don’t blame moi for dipping into your overdraft…! Sleepwear is by far my favourite type of clothing. There’s nothing better than that feeling after a long day, of coming home, getting out of those tummy hugging skinny jeans, whipping off your brassiere and snuggling into your good old comforting PJ’s. If there’s one good thing about the winter months creeping up on us, it’s the abundance of cushdy sleepwear on offer and when I saw these Star Pyjamas I just couldn’t resist…and I love them. Super comfy, stretchy and not too thick. These starry sweats have been calling me home all week…how lovely. I have to thank my fave vlogger Hannah Maggs for introducing me to the beautiful sound of James Bay, as she regularly features his music in her stunning videos. His music is simply amazing and his EP’s have become the soundtrack to my life over the past few weeks. I can’t recommend checking him out enough. 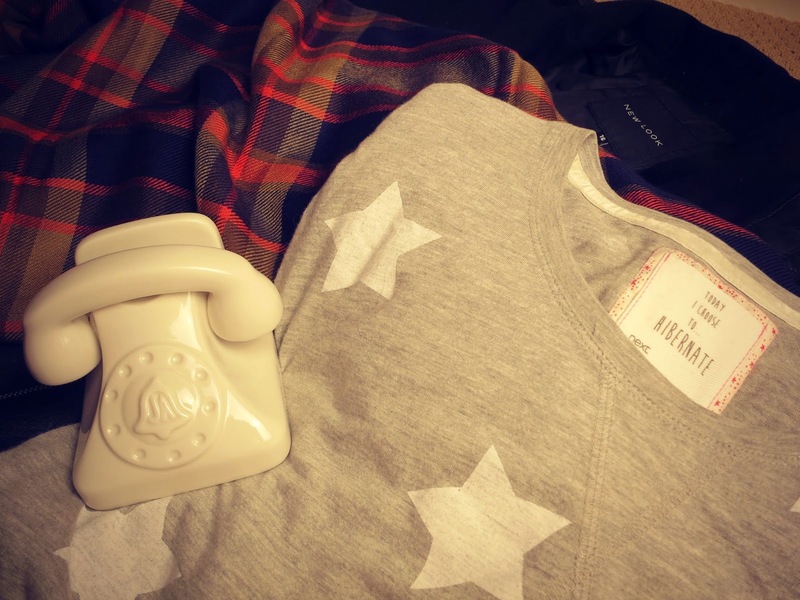 After seeing this Jonathan Adler Smartphone Holder over on a a fellow blogger’s site, my lovely brother and sister treated me to one for my birthday. It’s really cute (oops, I know this word is banned!) and my phone sits perfectly in it on my blogging desk. Love it. Naughty but oh so worth it purchases were this black leather look jacket and a super soft tartan check scarf. I’ve wanted a jacket like this for so long- it smarten’s up every outfit and brings out the rock chick in me…don’t panic, I wont be splurging out on a Harley and cruising around like a bat out of hell anytime soon. Although I do love a bit of Meat Loaf. Have you purchased any lovely new things lately?